According to McAfee’s Cloud Adoption & Risk Report 2019, organizations experience an average of 14.8 insider threat incidents each month. 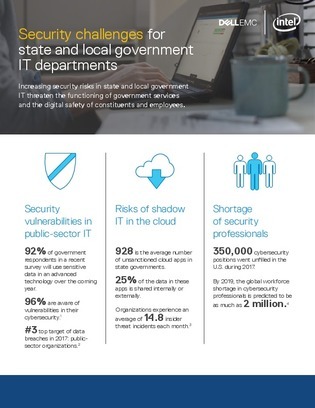 State and local government IT departments are no stranger to threats. The increasing security risks threaten the functionality of government services and the digital safety of constituents and employees.